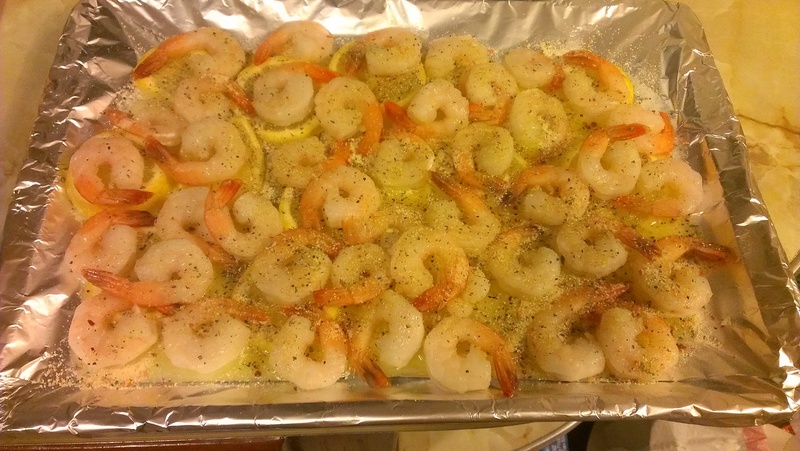 *Forgot to take the pic before I used the shrimp lol. Melt a stick of butter in the pan. 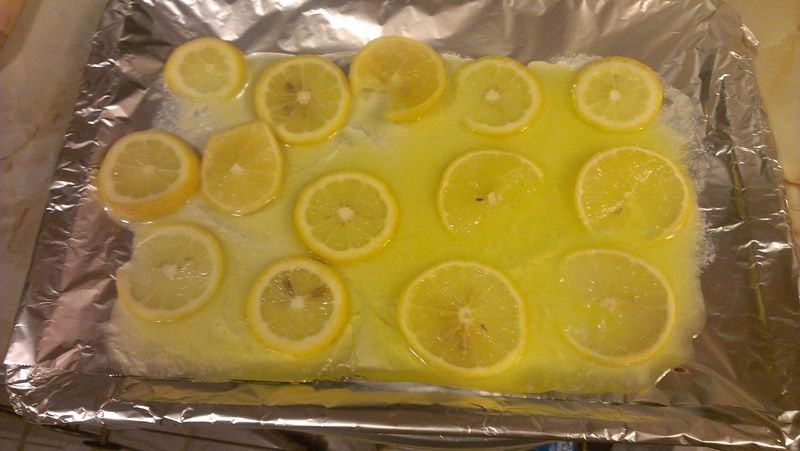 Slice one lemon and layer it on top of the butter. *Tip: I laid aluminum foil over the cookie sheet to aid in easy clean up. 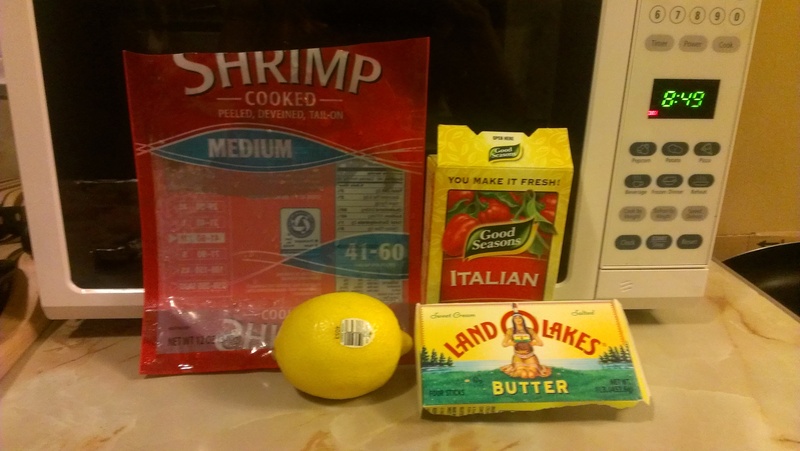 Put down fresh shrimp, then sprinkle one pack of dried Italian seasoning. Put in the oven and bake at 350 for 15 min. The finished product will look like this. 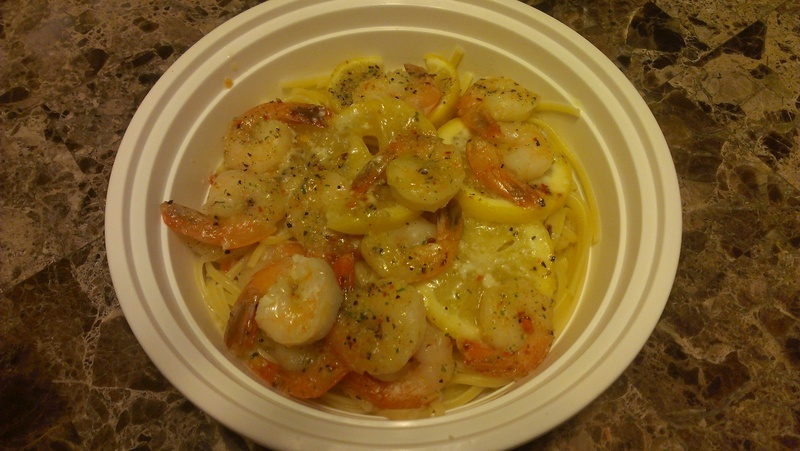 I decided to pair my shrimp with some plain noodles and drizzle the lemon, butter, Italian herb sauce over it. 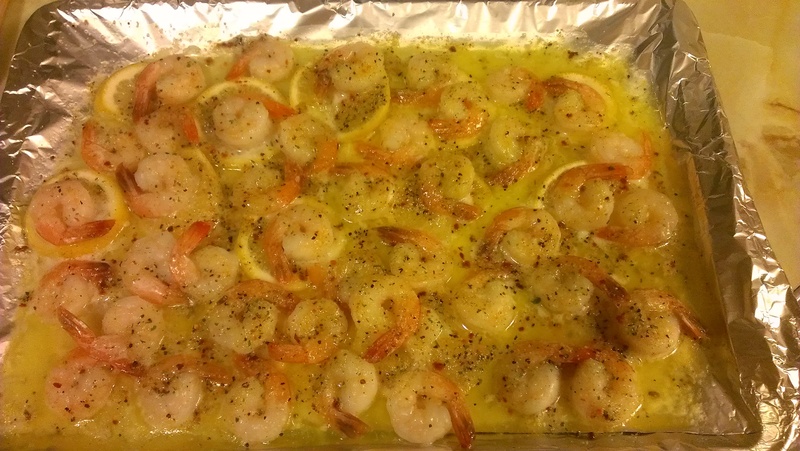 Let me know what you decided to pair with the shrimp. Look forward to sharing!